Never in the history of time has it been so simple to pass off opinion as fact and get a hundred or a thousand or a million other people on board with it. Despite having all of the information in the world available at the drop of a hat and constantly competing for our attention, it’s hard to differentiate between a well-meaning news article and a hard-hitting exposé of Britney Spear’s sudden weight gain. With our senses being constantly assaulted with propaganda by everything from our electronic devices to our daily commute to work, many of us are easily manipulated into beliefs and purchases we never wanted and can’t explain how we got suckered into. Many more of us are left with an unhealthy cynicism of all institutions from having our affections and loyalties constantly manipulated and tossed by the changing winds of public opinion and what is considered to be politically and socially correct thinking and behavior. The digital age has certainly opened up new avenues for mind control, brainwashing, manipulation, propaganda and negative influence. 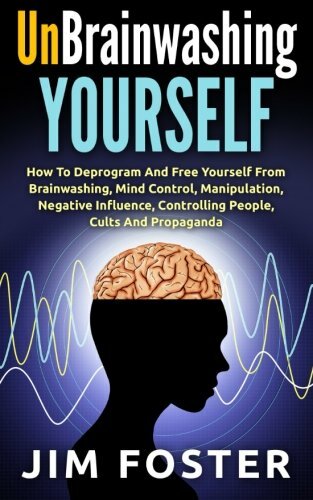 This book entitled Unbrainwashing Yourself by author Jim Foster will cover in detail the different brainwashing tactics from our interpersonal relationships, religion, and cult followings to the military scare tactics, medical monopolies, the media and corporate entities. More importantly, you are given solutions on how to overcome this good versus evil battle for control of your mind as you will learn step by step how to deprogram and free yourself from the clutches of brainwashing, mind control, manipulation, negative influence, controlling people, cults and propaganda.